You may have seen evidence of Red76 around the Walker, enigmatic journals, green broadsheets, and a compiled YouTube video “essay.” In five days time, on July 20 at 6pm, Red 76 will be arriving and hosting their Surplus Seminar Kickoff Barbeque in the Open Field. In addition to offering free hamburgers and potato salad, the Kickoff will be an opportunity to discuss Surplus Seminar with Red76 and the community. Red76's Broadsheets for Surplus Seminar at the Walker Art Center. 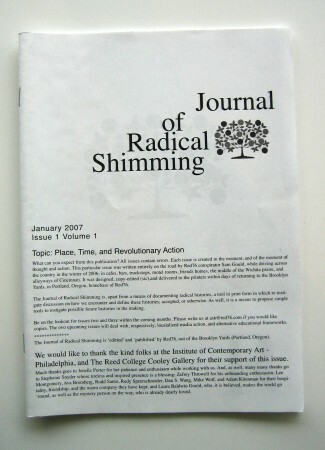 Red76 not only engages with the media, but it also produces and publishes its own journal: Journal of Radical Shimming. 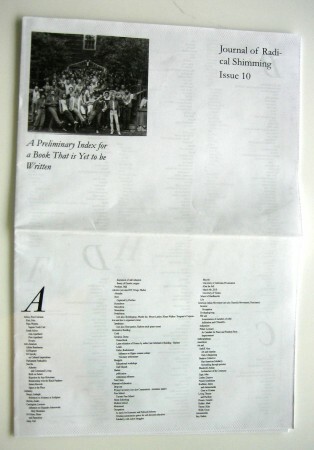 At the Walker, you can find the latest journal, Issue 10, and the first journal from 2007. In Issue 10, Gabriel Saloman reflects on radical faeries, Harry Hay, and subjectivity; and Stephen Duncombe and Sam Gould (the founder of Red76) converse on the subject of Utopia. Issue 1 of the Journal of Radical Shimming follows Sam Gould across the country on a search for sites of revolutionary action. 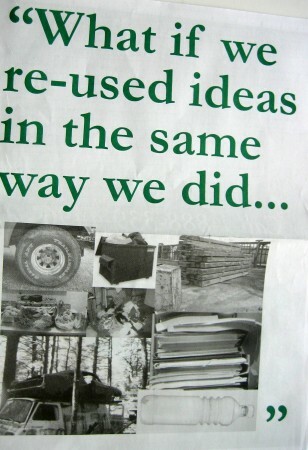 Check out the relics of radical inquiry!